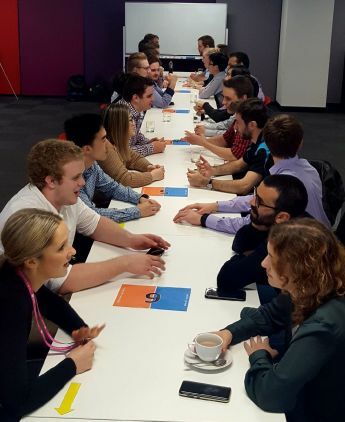 The 2017 and 2018 IT Graduates came together in a fun Speed networking event last week. Grads learned the art of having quick and robust conversations, exercising in asking simple questions to find out about each other, their work experiences and what drives them. Good networking is one the of the most valuable tools one can have in your tool kit, the majority of jobs are not advertised, but are filled by word of mouth and networking.